Light Rail Transit the LRT for you and me. 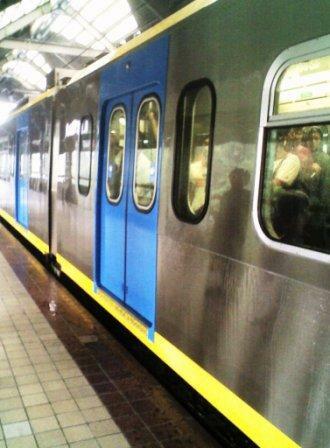 The Light Rail Transit or the LRT is one of the major modes of transportation in Manila. The ride is faster and more convenient than taking a jeepney or taxi, especially during rush hour. The Light Rail Transit now actually has two lines, the LRT 1 and the LRT 2. The LRT 1 runs over 15 kilometers, from Baclaran to Monumento. The LRT 2 runs over 13 kilometers, from Recto to Santolan. There is a connecting station in Doroteo Jose Station for those who need to travel to the other part of Manila. 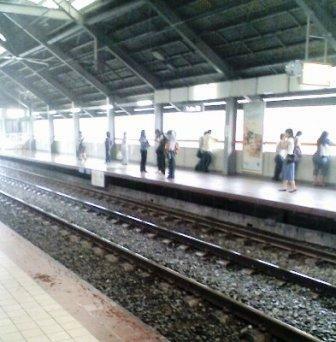 The LRT 1 runs across the major cities in Manila, namely Pasay, Manila City and Kalookan. In the LRT station at Pasay, there is an abundance of taxis and jeeps, which can take you to Roxas Blvd. and Makati. At the Manila station, there are rides you can take to get you to the Malate area, US embassy area, Luneta, Intramuros, Quiapo Church, Chinatown, the Chinese Cemetery and Manila North Cemetery. The LRT 2 on the other hand passes through Manila, San Juan, Edsa and Marikina. Taking the Light Rail Transit instead of the jeepney and taxi is really more convenient since the trains are air conditioned and the tracks are smooth. You will also get to see more of Manila since the tracks are elevated. Both the LRT 1 and LTR 2 open from 05:00 in the morning and close at 9:30 pm (LRT 1) and 10:00 pm (LRT 2). The LRT is open all days of the year except during the Holy Week. It is also relatively safe, there are security personnel around, separate seats for the senior citizens, pregnant women and disabled, separate seats for women (if they want to take them) and even bomb sniffing dogs. It is also very cheap at Php12 for short distances and Php 15 for longer ones. There is also the free newspaper, called Libre, for the commuters. There are also shops and food stalls in some of the stations of the Light Rail Transit. The Araneta Center Cubao Station of LRT 2 is connected to a major shopping center while the Central Terminal Station of the LRT 1 is also connected to one. In the other stations, there are also food stalls of various styles. In the stations where there are many universities around, there are even school supply stores, internet cafes and printing and photocopying services. For the stations close to business areas, there are ATMs, office supplies stores, gadget and mobile phone stores and bags and shoe repair stalls. Taking the LRT is probably the safest way of traveling in Manila. It is also one of the places where you can see the true Filipino value of “respect for elders” and “respect for women”. It is common to see men giving up their seats for the elderly and for women passengers on the LRT. One word of advice though, if you plan to take the LRT it is best to plan your travel before or after rush hour. Otherwise you will have to fight your way among the hordes of passengers.